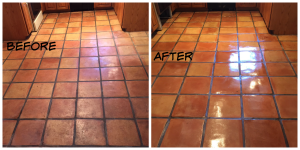 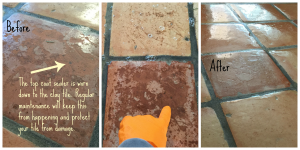 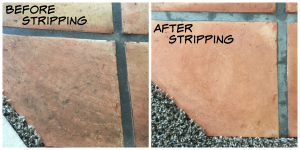 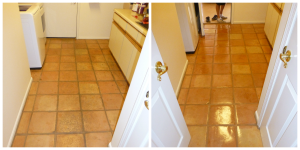 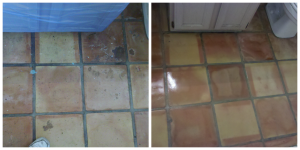 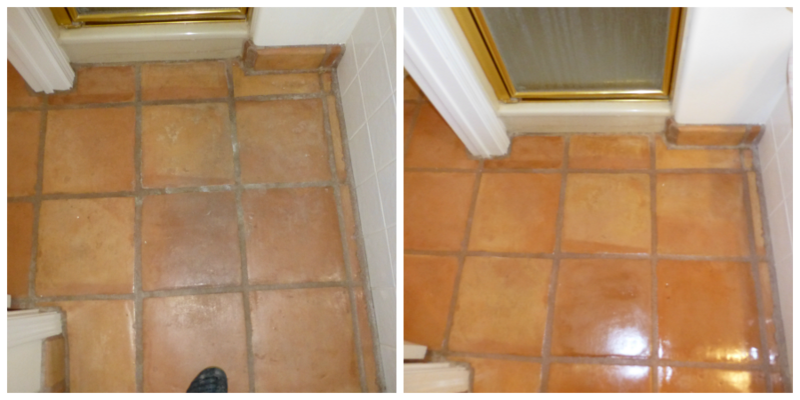 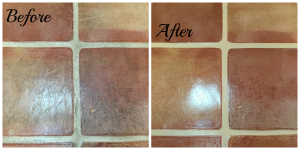 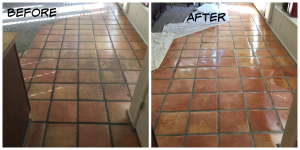 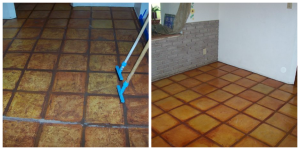 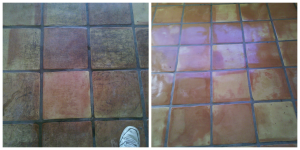 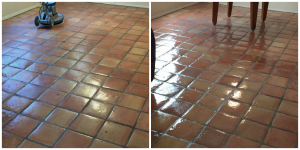 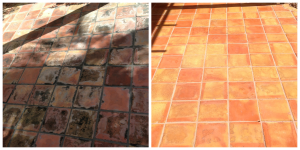 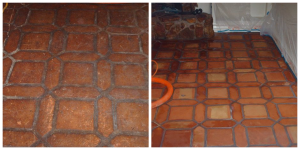 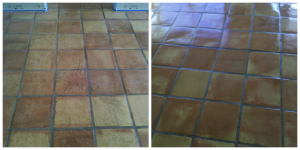 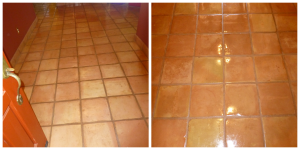 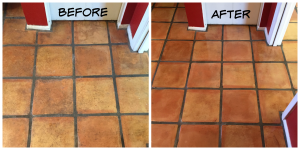 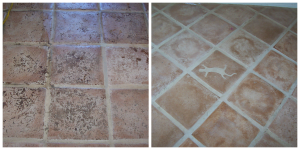 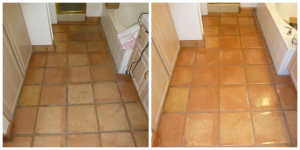 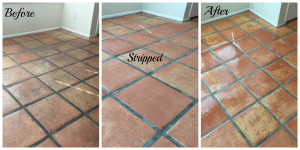 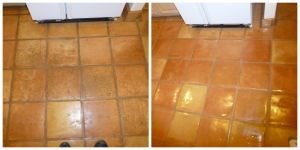 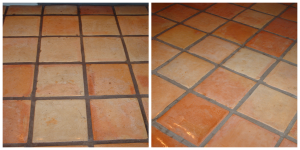 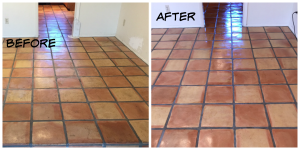 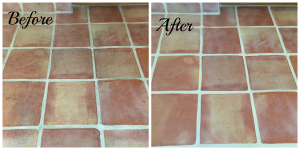 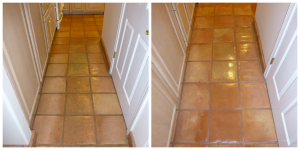 Our Saltillo Cleaning Gallery showcases spectacular before and after pictures of our work. 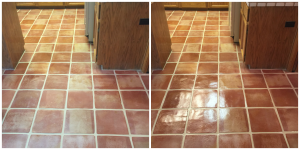 We offer both a satin and a high gloss finish for saltillo. 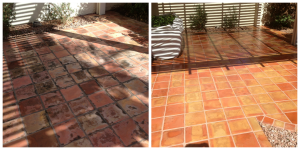 We do not recommend a topical sealer for those areas around a pool, near sprinklers or receiving heavy sunlight as it becomes very slippery when wet and the finish may yellow and flake off in the sunlight. 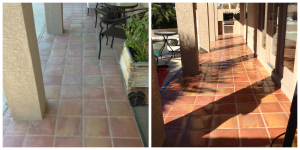 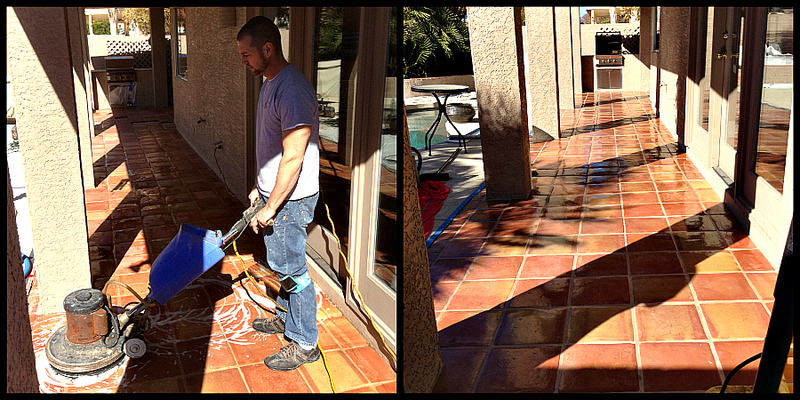 We recommend a solvent based sealer for those areas receiving a high amount of moisture and sunlight. 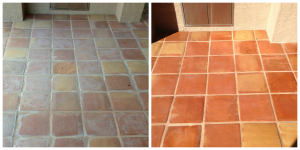 Outdoor saltillo cleaning and sealing should be scheduled on your yearly maintenance calendar. 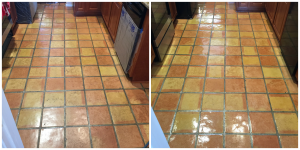 Scroll down to see additional saltillo cleaning pictures.Call Today for your free estimate!